House and Senate Republicans held a press conference today tointroduce a package of bills to end the budget impasse. The bills represent a compromise balanced budget and include reforms that address the priorities of both parties, and urged the General Assembly to return to Springfield to vote on this proposal. 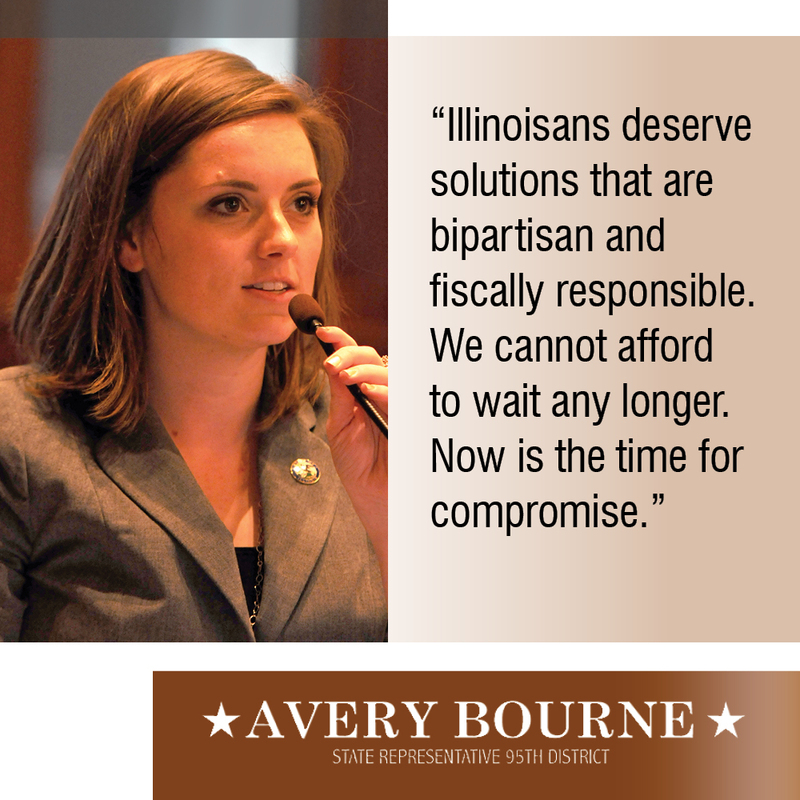 State Representative Avery Bourne (R-Raymond) is asking the Democratic Majority in both Houses to call the plan for a vote and, finally give Illinoisans a budget after two years without a budget in place. Property Tax Relief: Four-year freeze for all taxing districts, but would allow residents, through a voter referendum, to lower or increase their taxes. Allows for an exemption on existing debt service payments as requested by Senate Democrats. Education Funding: Changes to the K-12 education funding formula that treats every district equitably that is consistent with the bipartisan framework of the Governor’s School Funding Commission. Funding for early childhood education, K-12 education, community colleges, and universities.